Please go to our CONTACT US page and indicate whether you are a craft or food vendor. Road Closure information can be found at the city’s Department of Transportation Services website. I Make Travel Plans Well In Advance. 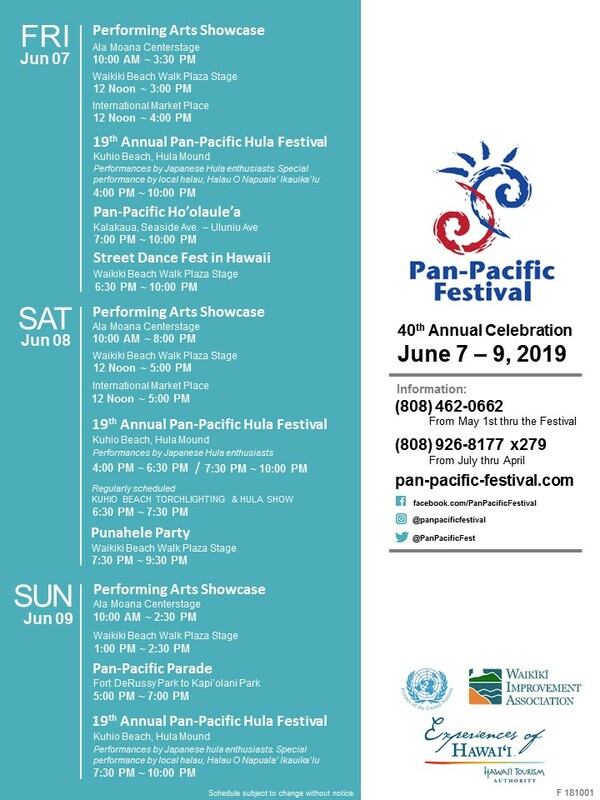 Does The Pan-Pacific Festival Happen On A Specific Date Each Year? The festival almost always falls on the 2nd weekend of June. The Ho’olaule’a (block party) always happens on Friday, and the Parade is on Sunday.